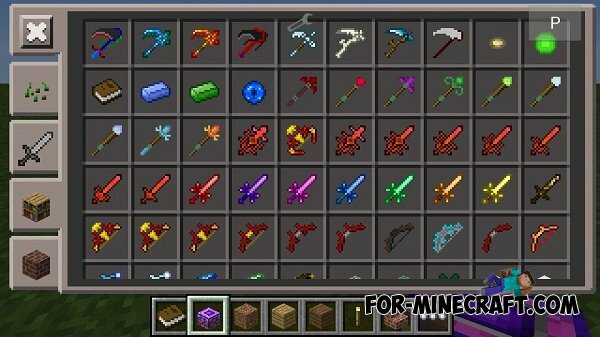 This RPG mod for Minecraft Pocket Edition that adds to the game over 40+ new items, portals into new dimensions, altars that can be used to call the bosses, and more! The new version has a new armor! (of 8 species). You need the latest beta BL, otherwise the script will not install. HEXTRAL mod for Minecraft PE 0.10.5HEXTRAL - new, awesome mod that adds a lot of new items, and bosses!